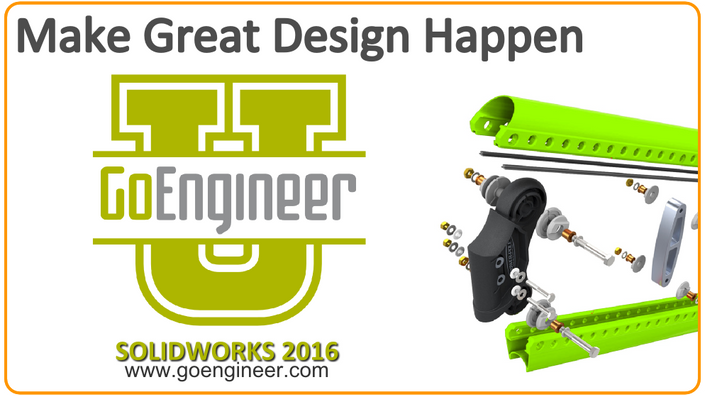 Welcome to the digital version of GoEngineer’s annual SOLIDWORKS 2016 in-person release events. Built in short, modular videos by dozens of Elite SOLIDWORKS engineers offering a collective team of intelligence to you! Your anywhere, anytime journey begins here with the latest additions and enhancements for SOLIDWORKS 2016. While JoeEngineer is our brand that represents the technical resources, knowledge and community behind every GoEngineer customer, you will also meet all of our Elite SOLIDWORKS instructors.